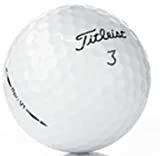 Practice balls are often packed in a pack of a dozen balls, and are made to be limited-flight practice balls that can perfectly simulate the flight arc of a real ball. 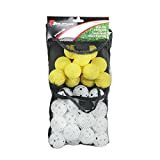 Due to its construction, these balls are perfect for indoor play as they are much softer than real golf balls and are ideal practice balls for golf. The secret to good practice balls is that it must have the ability to simulate a real golf ball as much as possible. That being said, these balls are perfect to practice with as they can fly very far. 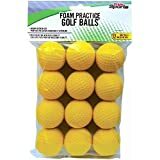 Users who spend some quality time practicing with these balls have reported an increased level of play. 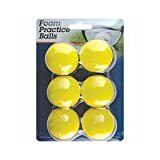 Intech’s Foam Practice Balls are available in a pack of 6 yellow balls. The material used is high density foam that is lightweight enough for you to practice indoors or out. 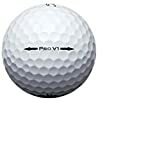 These practice balls feature a restricted flight that will not travel as far as a normal golf ball would. Bright yellow color provides easily visibility. Mint quality recycled golf balls is the best available grade. 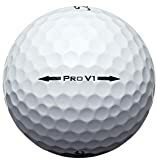 These balls are like new, they will show no or very little wear and will maintain the original color and sheen. 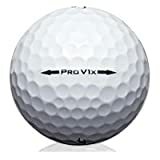 These golf balls will include small player( sharpie or felt pen) markings, team and corporate logos.